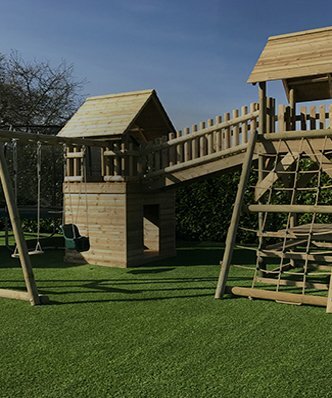 This is a self contained playground in the comfort of your own garden. 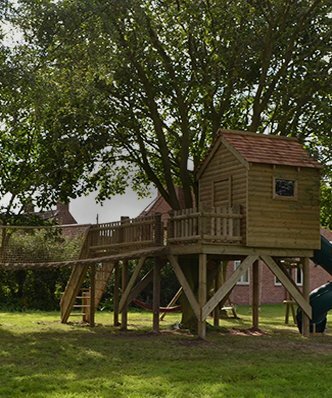 What a thrill any child would have, to spend quality time exploring all the cool things to do on our mid range double play tower. This solid, sturdy piece of kit made from high-quality round timbers. 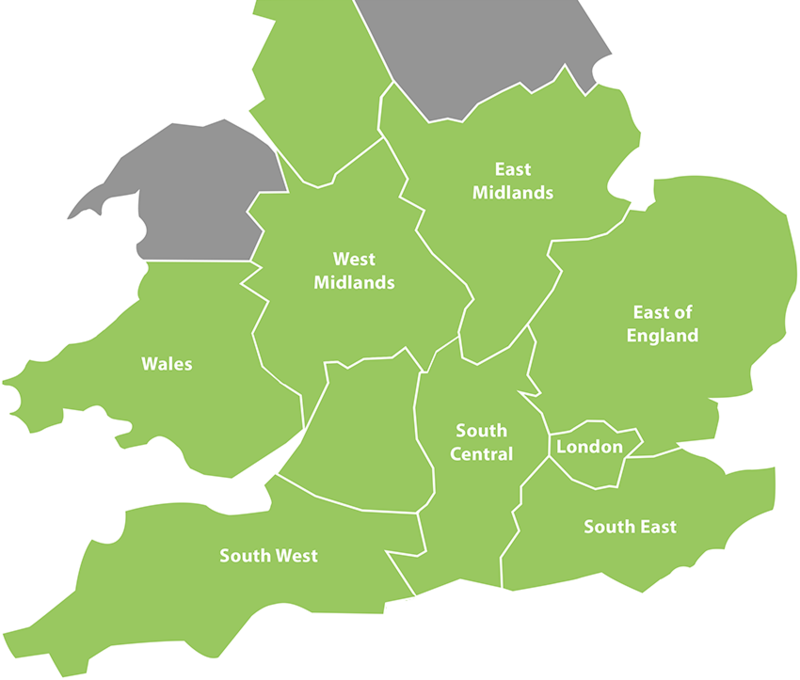 And comprises of many different and exciting zones. Some are for imaginative play, others for those all important bonding experience with friends. And there’s more for the adventurous with features that will test their strength and problem solving skills. The two solid towers both have roofs to protect from the worse of the elements. 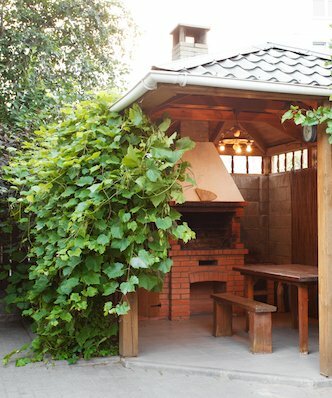 With an enclosed den below, this is perfect for creating your own hide-away. You can access the platforms in one of three ways: easily up the ladder, climb up the challenging full-width cargo net or with optional rope assistance, ascending via the climbing wall. 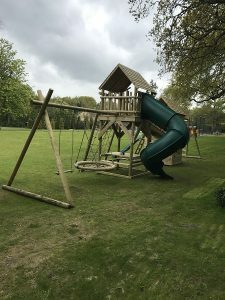 Securely attached to the tower is a cantilevered swing extension, housing a variety of swings. 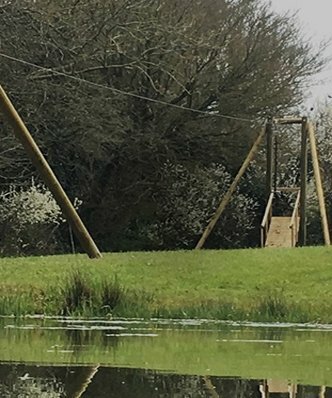 For all the kids there is a flat wooden swing but there is also a very own two person ‘push me, pull you’ nest swing to while away the hours. Your children are sure to be the toast of the neighbourhood. Especially when they invite their friends to ‘come and play’on this amazing piece of kit!